Syllabus of the Online Course (Subject): Arab Fund for Economic and Social Development. Learning materials in (or Fonds Arabe Fondo Arabe OIC). Description of the Online Course: Arab Fund for Economic and Social Development. 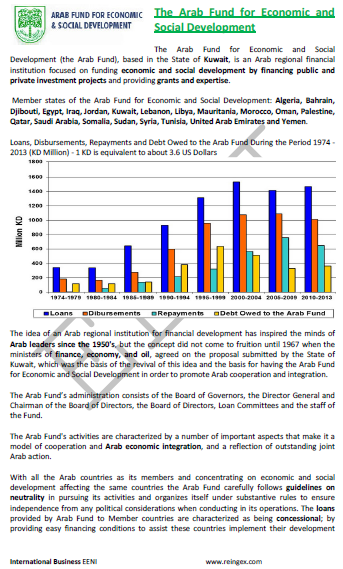 Financial institution (Arab Development Funds): Arab Fund for Economic and Social Development (Kuwait).